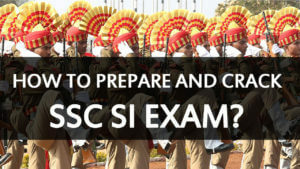 The Staff Selection Commission (SSC) of India publish official notification every year for the posts of sub inspector (SI), Assistant Sub Inspector (ASI) in Central Industry Security force (CISF) & in Delhi Police. 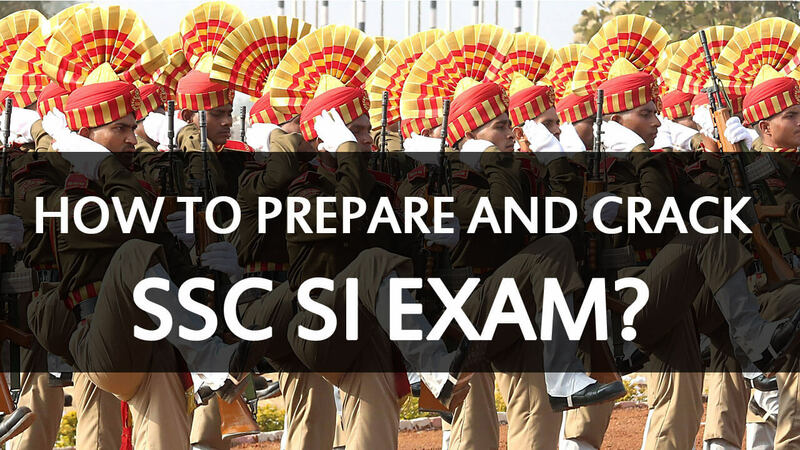 The eligibility criteria for appearing in SSC SI & ASI exam for the year of 2016 is that the prospective candidates must possess a Bachelor’s degree from a recognized University. The age limit for the candidates must be within 20 to 25 years of age. However for the candidates who belong to the reserved category, the age limit has been relaxed up to 27 years as per the rules of Government of India. There is an eligibility criterion in the physical standard also. For male candidates the chest should be 80cms (85 with expansion), height must be 170cms, must be able to complete 100 meters race in 16 seconds and 1.6 km race in 6.5 minutes. The long jump of 3.65m should be completed in 3 chances; the high jump of 1.2metre must be completed in 3 chances and also must be successful in shot put of 4.5metres within 3 chances. In case of female candidates the height must be 100cms. The candidate must be able to complete 100 meter race within 18 seconds, 800 meter race within 4 minutes, long jump of 2.7 meter within 3 chances and high jump of 0.9 meters within 3 chances. The selection procedure for this examination starts with a written test. There are basically two written examination paper. Paper I is basically consists of four sections, each containing 50 questions of 50 marks. The four sections comprises of reasoning and general intelligence, general knowledge and general awareness, quantitative aptitude and the English comprehension section. The total time duration for paper I is two hours. Paper II consists of mainly English comprehension. This section contains 200 questions of 200 marks which are to be completed within 2 hours. After the written tests the successful candidates who have passed paper II will have to appear in an interview and thereafter medical examination. General intelligence and reasoning – this section will include various verbal and non verbal questions. It will mainly cover the analogies, the synonyms and antonyms, coding, decoding, visual memory, decision making etc. General awareness – the questions in this section will be mainly focused on the current affairs and also to the history, economy and culture of the India. Quantitative aptitude – it includes geometry, arithmetic, algebra, ratio and proportion, percentages, profit and loss etc. English comprehension – the candidates will be tested on their Basic English knowledge. For paper II the syllabus includes fill in with correct verbs or articles or preposition, vocabulary, phrases etc. Candidates must have a well-planned strategy about which section to appear for first in the exam and how much time to devote in each section. This will ensure you to visit all the sections of the paper and you will be able to come across the easy questions hidden in all the sections. Speed and Accuracy is the ultimate way to success. These are the foremost important factors in the exam. For increasing speed, solve easier questions first and mark the tough ones for the left time. Spending too much time on a single question will tend to reduce your speed, so if you are not able to solve it within 1 minute then move on. Reasoning is generally a scoring subject in comparison to the quantitative section, as it takes only thinking ability of a candidate. If the candidate is able to apply it, he can easily score well in this section. Unlike numerical skill in reasoning section you don’t have to learn some formula and solve question by applying that formula. You just have to be very careful while answering these questions. Most of the students face difficulty in this section. This is a test principally to determine candidate’s ability to remember main ideas and significant details. SSC does not ask for very high flowing words but you must be sure of the usage of the word and how it is used in sentences. General awareness has always been taken at the lighter note by many candidates, not realizing that how major it can be in SSC Exam. General awareness is not something you can expect to master in a day. But from an exam point of view, if you spend time consistently, you can perform well in it in relatively less time as compared to Quantitative Aptitude and Reasoning section. To conquer this section, you should take one topic at a time & practice more questions on that topic to make it your strength in exam. Only High Scoring Marks will take you to your Goal. In the Examination hall, take that section first which is your strength & less time taking. Pay attention towards time during solving questions. By rigorous practice one can do quant more quickly and with complete accuracy. You must plan the journey well in advance. You need to understand your strengths and weaknesses so that you can focus where it is needed that most. For example, you can be strong in Math, average in Chemistry but clueless in Physics. It is important because you can turn your weakness into strength provided that you work hard. You must be familiar with the syllabus, exam pattern, exam notification, important chapters from exam perspective and the marking scheme. It would greatly help you in making the study schedule and improving the attempts in the examination. It is crucial to plan your preparation and create a timetable. You can assign chapters and topics on daily basis or weekly basis. It would help you to cover the syllabus in time. However, making a schedule is not sufficient and you need to stick to it as well. Timetable must devote equal time to all subjects, with tough subjects mixed with easy ones. You must remember that only learning chapters will not result into success. You need to materialize your learning into a better score in the exam which is why high practice is recommended. So practice, practice and practice till you are perfect at a particular chapter. If you practice and not cram, you would be able to crack the questions at ease. You must balance your extracurricular activities with the studies. By extracurricular, we mean the activities which can help you relax in the strenuous study schedule. You can do exercises to keep body and soul fit. Proper diet is also important aspect that cannot be ruled out. You must have healthy light meals which includes consumption of fresh fruits and vegetables. Avoid consuming fatty and sugary foods. Start with chapters that you are weak in, it will help you to prepare in time and you will not panic at the last stages of preparation. Pay special focus on important topics and subjects. You must understand the importance of each topic from exam point of view. Revise, practice and solve as many sample papers as you can. It will help you to know how well prepared you are. Leave new chapters if exams are just approaching otherwise it will create a lot of stress. In the Examination hall make strategy according to your preparation. Take that section first, which is your strength & less time taking. Time Management is very important for the SSC CPO SI 2016 Exam. To master your timing skills make a target time and achieve it. Pay attention towards time during solving questions. By rigorous practice one can do quant more quickly and with complete accuracy. If a question is not known or time taking or doubtful better go for the next and return to it after you answer all the known ones. If you are not sure of some answer or it is out of your knowledge to answer any question, better don’t answer to avoid negative marks. Candidates are advised to revise all the formulas and rules for each subject. For example: Revise basic English grammar rules from any grammar book. Every competitive examination has some easy, some moderate and some very tough questions – those who wish to ace the exam must learn to spot the easy ones and avoid the tough ones. No one will be able to attempt all questions in the given time and therefore the best approach is to focus on accuracy rather than on the number of questions to be attempted. Candidates are advised to select the question based on parameters like expertise of subject, length of the question, level of difficulty of the question and their own comfort level in solving a particular type of questions. Aspirants are advised to avoid guesswork as there will be negative marking of 0.25 for each wrong answer. The best rule is that if you are no closer to solving a question even after 2-3 minutes then it is wise to abandon the same and move on to other one. Sometimes one can easily get the answer by just checking the given options. So cross check the given options before marking your answer. Self Confidence is the key to crack this examination. From a comparative analysis of the candidates who are already selected, self confidence was one thing that was found common amongst all selected ones. You need to keep yourself charged and have faith in yourself. This will definitely help you to answer your questions in the examination with self-assurance and conviction. And last but not the least, ensure aspirants should pace themselves during the exam. The most important thing to keep in mind is not to panic, doing so will lower your speed and thinking ability. How to Be a Successful Teenager?